For a publication design course, I had to recreate and improve the DePaul University viewbook for an MFA program of our choice within 16-20 pages. 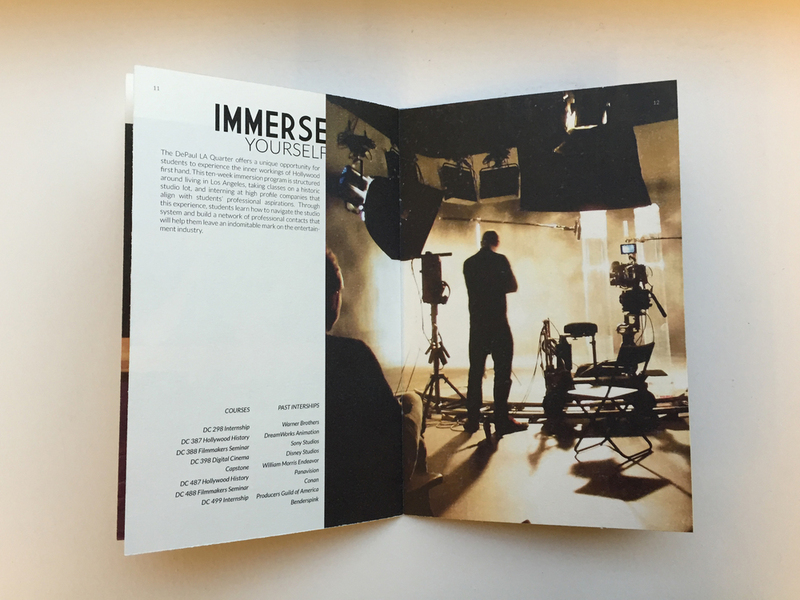 With any copy and any imagery I could find, I focused on the Cinema program. 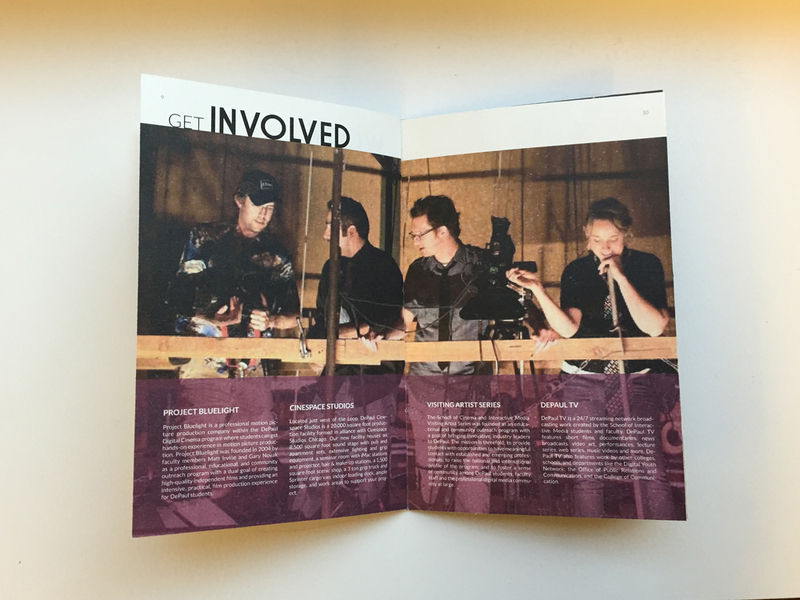 This viewbook is meant to lead a potential student through the program’s courses and introduce them to faculty and students.